American Walnut is one of the most versatile, varied, and well-loved veneers. 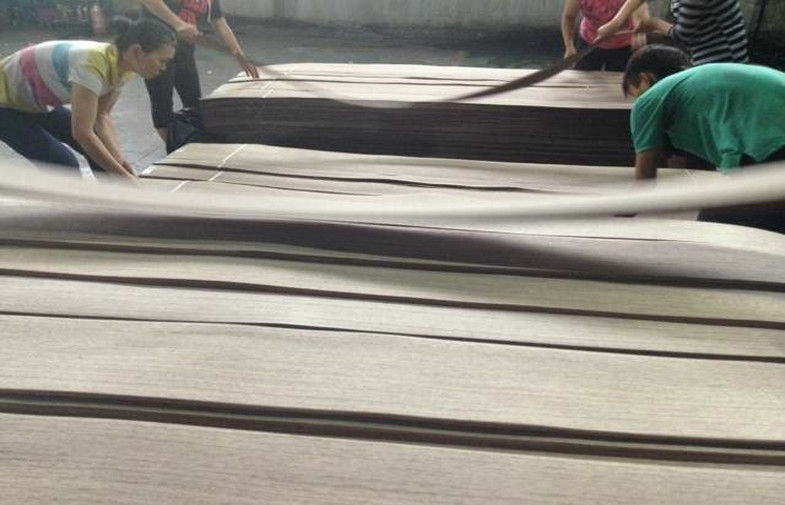 It is light gray-brown to purplish-brown wood. Quartered, the veneer presents an even grain, fairly straight throughout. American walnut veneer,also called black walnut veneer,originated from the east of U.S.,is a hardwood veneer mainly used for furniture surface making and interior decoration,it has smooth and even lines and stablity nature,with very good painting and dyeing performance,and perfect surface effect will be gained after polishing. It's rich brown color,typically stained dark,makes it good choice for library paneling or large furniture,in veneers,walnut has been a common choice for centruies,the most popular from of wlanut veneer is walnut burl,walnut has an unusual growth sturcture that allows individual small growth rings inside the normal pattern,when sliced thin,these burls can create beautiful patterns that have been used as decorative accents on all kinds of furniture. 7.Domestic Walnut, one the most familiar of all cabinet woods, is used in all types of furniture, doors, cabinet work and accents. It lends a classic feeling to architectural paneling, doors, furniture, and cabinetry. Domestic Walnut, one the most familiar of all cabinet woods, is used in all types of furniture, doors, cabinet work and accents. It lends a classic feeling to architectural paneling, doors, furniture, and cabinetry.